We’re excited to announce that IES Abroad is represented twice on the shortlist of finalists for the PIEoneer Awards! The PIEoneer Awards are hosted by The PIE News, an independent media organization focusing on international education. The shortlist of finalists was selected by The PIE News, and the winners will be selected by distinguished judging panel from across the field of international education. The winners will be announced Friday, September 7th at an awards ceremony in London. This award recognizes an individual who has helped evolve or shape the international education sector. Dr. Dwyer has significantly contributed to the growth and advancement of international education through her leadership, good practice, collaboration, and research. 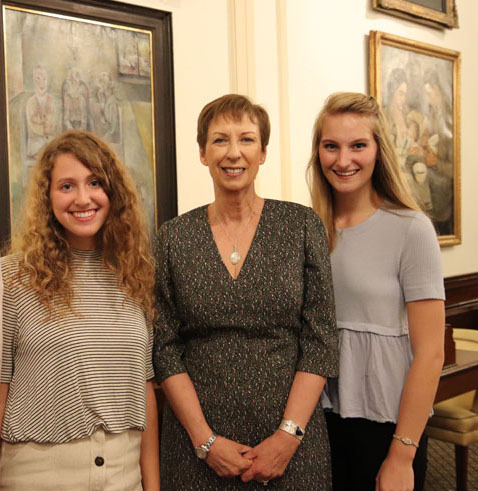 She is one of the first female CEOs of a study abroad provider, and has made considerable efforts in supporting women in the study abroad field. Dr. Dwyer has consulted extensively during her career and been called upon by an array of U.S. and international organizations across 20 developed and emerging countries, including the World Health Organization (WHO), Global Ministries of health and education, and the W. K. Kellogg Foundation. She continuously strives to provide increased access to innovative, high-quality academic study abroad experiences for our students, and her most recent effort is reflected in the merger between IES Abroad and The Study Abroad Foundation (SAF). Dr. Dwyer has taken a multi-faceted approach to making quality study abroad programming accessible to college students around the world including expanding financial aid and scholarships and establishing the Initiative to Diversify Education Abroad. This award recognizes an inspirational and inventive marketing campaign. Since 2014, our Film Festival has been an online opportunity for students to share their stories from study abroad through film. 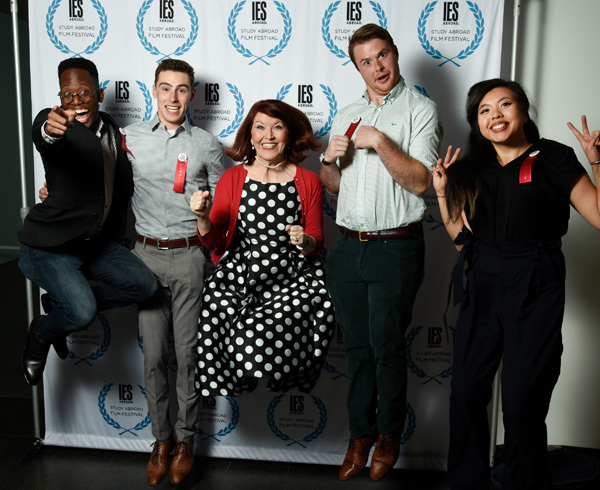 After hosting the Film Festival online for three years, we approached our 2017 Festival feeling it was time to do something bold: coordinating a live Study Abroad Film Festival Event hosted by actor Kate Flannery (Meredith from NBC’s The Office). Our Film Festival event underscored the remarkable power of study abroad and the global network it creates using film. It was a reminder to us—and those who attended or participated—of how study abroad truly can change the world— one student, and one story, at a time. Our Film Festival event is also the winner of the 2018 GoAbroad Innovation in Marketing and Digital Media Award. Check out the other PIEoneer Award finalists. We’re grateful to be recognized through numerous industry awards for our commitment to providing our students unmatched global educational experiences. Learn more about IES Abroad and contact your representative today.